Successful half-year results: in the first six months of 2016, Dr. Ing h.c. F. Porsche AG has again increased its operating profit – by 8% to 1.8 billion euros. Deliveries rose by 3% to 117,963 vehicles, while sales increased by 1% to 10.9 billion euros. The return on sales achieved was 16.8%, compared with 15.6% in the first six months of 2015. The number of employees rose by 12% to a total of 26,191. “Enthusiastic customers, secure jobs and an attractive return on sales are more important to us than production volumes,” said the Deputy Chairman of the Executive Board and Member of the Executive Board responsible for Finance and IT, Lutz Meschke. Chairman of the Executive Board Oliver Blume pointed out that, after years of rapid growth, Porsche is now aiming to achieve stability at the high level achieved. 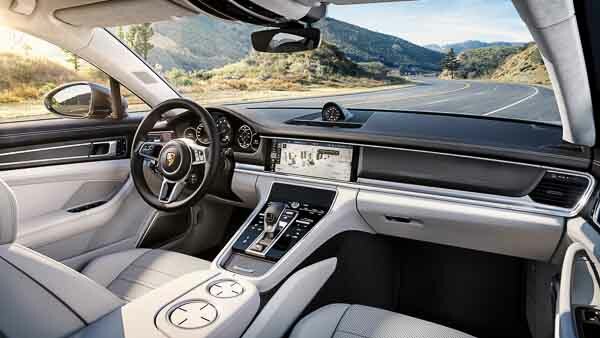 The new Panamera is intended to provide moderate growth. “This Porsche is a class in its own right,” said Oliver Blume. “It combines sporty driving dynamics with maximum travel comfort. It is powerful yet still efficient in terms of fuel consumption. And it links a high level of everyday utility with a fascinating design,” the CEO explained. Market launches of the new Panamera are due to start in November 2016. Lutz Meschke assumes there will be a slight increase in deliveries and sales for the 2016 business year. Despite the very high investments in production sites and development outlays, such as the billions of euros going into the first purely battery-driven Porsche model, the Mission E, the Chief Financial Officer is expecting profits to reach at least the level of last year. Lutz Meschke emphasised that the strategic objective of a 15 per cent return on sales would continue into the future with the new Strategy 2025. He went on to explain that the topics of electric mobility, digitisation and connectivity were indispensable in this context in order to emerge successfully from the greatest upheaval in the history of the automobile.